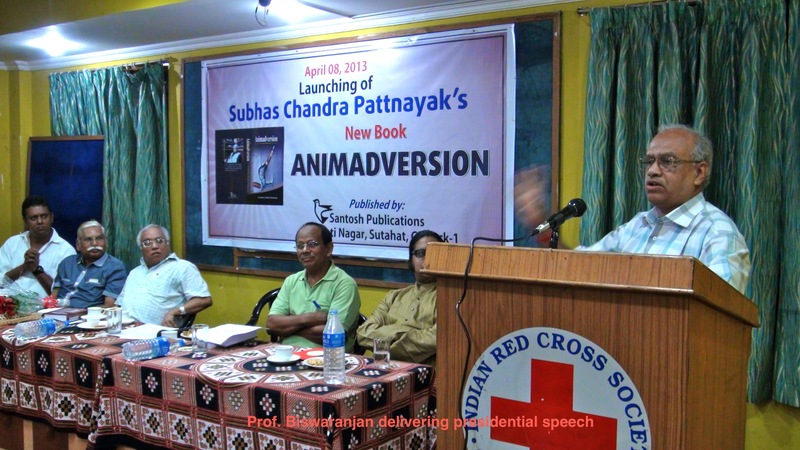 New York based media scholar Saswat Pattanayak launched ‘Animadversion’ , a new book of his father, eminent Journalist Subhas Chandra Pattanayak, in a solemn ceremony on April 8 in the Red Cross Bhawan auditorium at Bhubaneswar. Prof. Biswaranjan was in the chair. 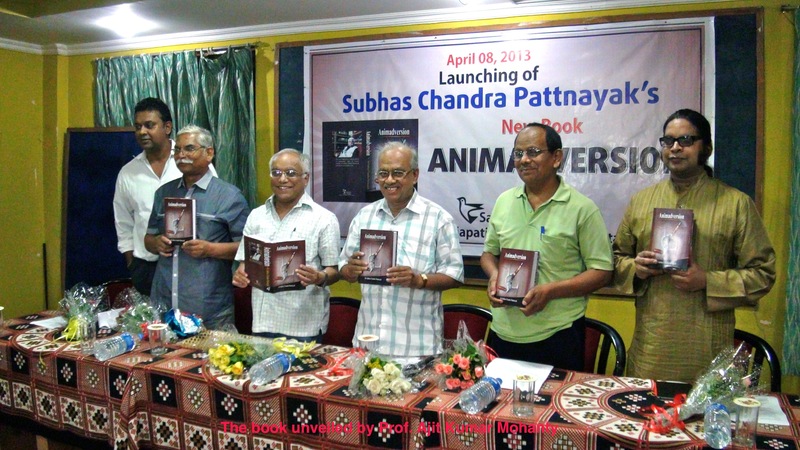 Opening the book, priced Rs.1000/- published by Santosh Publications of Bharat Bharati group of Cuttack, former Professor of J.N.U. New Delhi, Prof. Ajit Kumar Mohanty commended it as a “priceless piece of journalistic literature” that helps living history by covering milestone moments of contemporary India, with specific focus on matters relating to Orissa. To Prof. Jayant Kumar Biswal, Chief Speaker of the event, the book is a precious piece of principled journalism that unveils unseen scenarios, which affect the society. When it throws new light on authors of the Charyagitis (Bauddha Gan O Doha) establishing the fact that by birth they belong only to Orissa, thereby demolishing the Bengali claim over them, as in the case also of poet Jay Dev, the book has exposed the monstrous mischief and treachery the politicians in power and the mandarins in office have played against the people, he said. He lauded the author for his commitment to the people’s right to be informed as evidenced in depiction of research based factual analysis in all the articles compiled in Animadversion. As a token of commencement of the book’s circulation (Lokarpana), Biswajit Mohanty, a pioneer in global-utility-education-movement in Orissa received the book from Saswat Pattanayak on the dais. 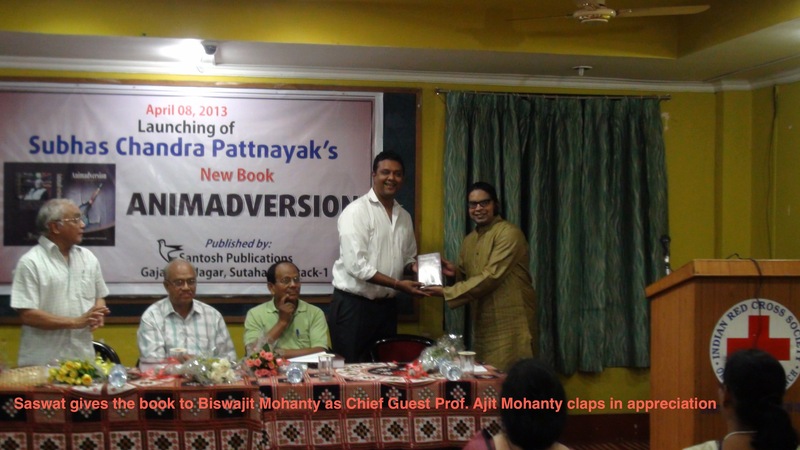 Mohanty is a grand son of late Madhu Mohanty,the most popular columnist of his time in Orissa. 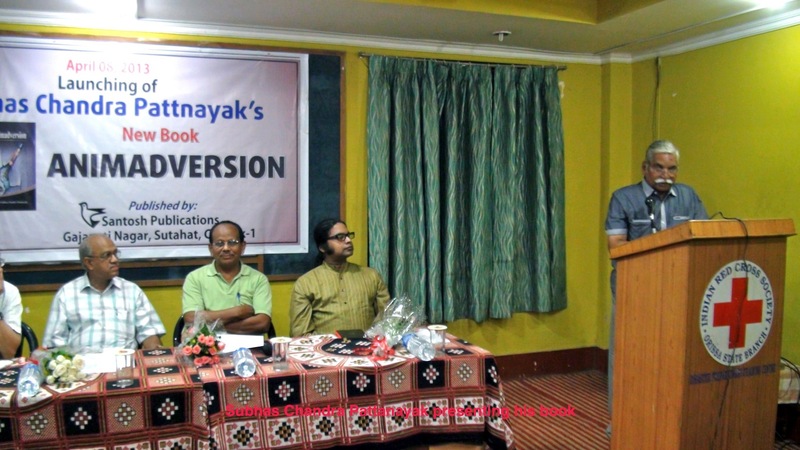 On receiving the book in ‘Lokarpana’, Biswajit informed the audience how he had come across an exposure on a well known person of the State in Subhas babu’s writings much ahead of the CBI taking the same person to books for the same offense. 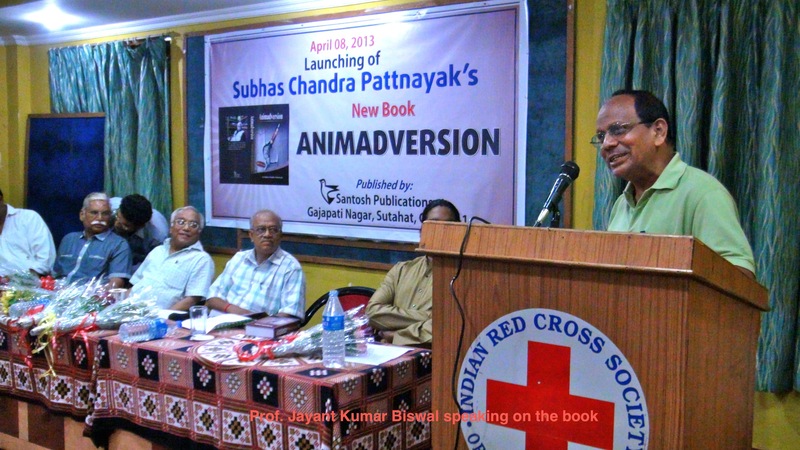 He welcomed the publication of Animadversion as the book would help non-netizen persons to know the author’s online contributions to the cause of the country. 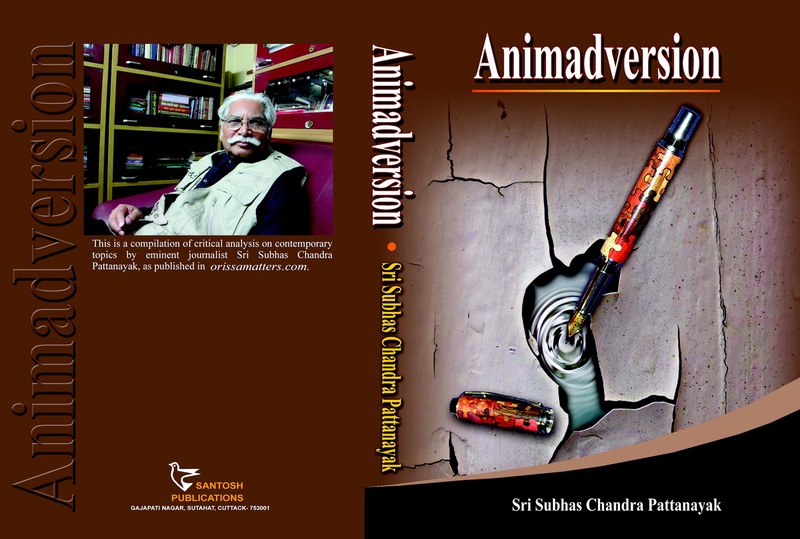 In presenting the book, Saswat, associated with orissamatters.com from where the articles compiled in Animadversion are picked up, described the book as “inimitably inspiring and unquestionably valuable, both in terms of content and, in its approach”. 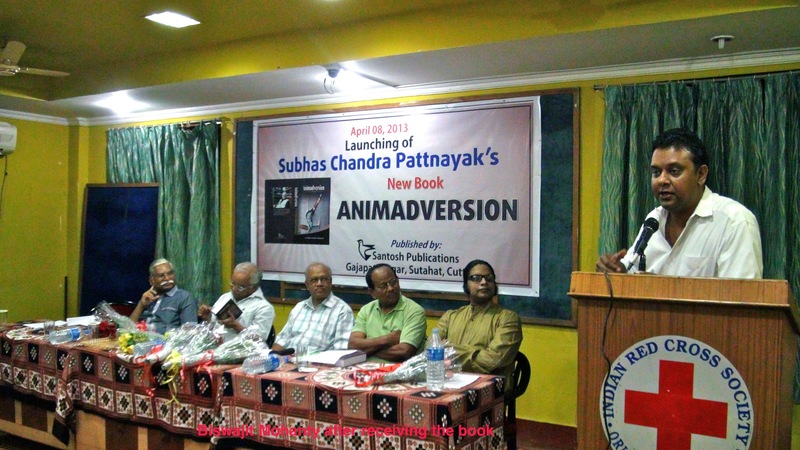 Author Subhas Chandra Pattanayak recalled how orissamatters.com that gave birth to a new era of Internet journalism in Orissa was established. When scope for standing truthfully with the people was “shrinking” around 1999, his son had inspired him into the new generation journalism, leading to creation of orissamatters.com, he said. “This new platform gave me enough independence to write as prudence entailed to be written in public interest. 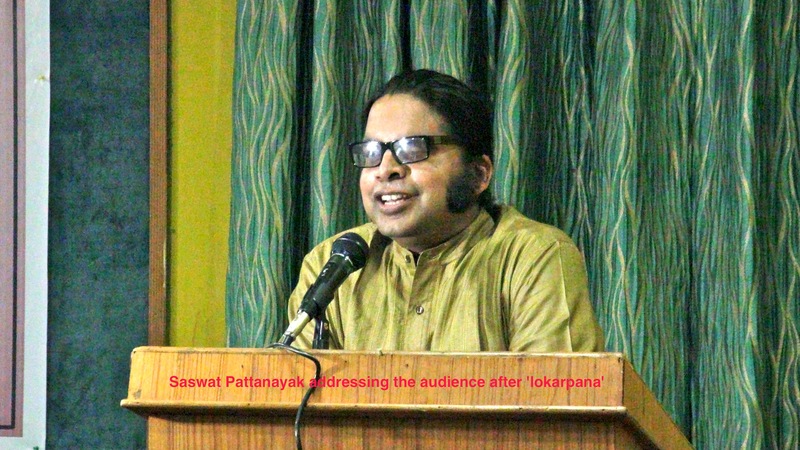 For every piece of my posting in orissamatters.com, I have searched for facts to the best of my ability and have used my long experience and professional wisdom to help people know what the agents of plutocracy have always wanted to keep buried under the carpet of mediacracy” informed Sri Pattanayak. In his Presidential speech, Prof. Biswaranjan praised the author for his unperturbed role as a people’s sentinel even in the environment prevalent in India, where the media is increasingly getting more infested with devotion to rich man’s rule than the common man’s sovereignty. Prof. Major Kumudini Barai proposed vote of thanks when Amrita Mishra had welcomed the guests. Media consultant Pabitra Maharatha coordinated the event.